Liverpool Archives – A Write Old Life. Black players union… more like a kick in the balls to the fans. A week or so ago, I blogged about the issue of racism in the wake of the awful events in Serbia and quoted quite a lengthy passage from my own book Kicking Off. As a consequence, I’ve actually been reading various sections of it over the last few days and am increasingly astonished –and not a little saddened- by how much of it is still current. Now one of the charges I make in the book is that Kick Racism and the various anti-racism incarnations allied to football were starting to sit back on their laurels and had instead, become little more than a gravy train onto which all kinds of people were jumping. Ironically, I was attacked fairly strongly at the time for saying that and yet here we are, over eight years later having the very same discussion. Although this time the accusation is actually being made by the players as opposed to some know-it-all git of an author and as a result is quite rightly receiving widespread support. And it’s not just Kick Racism who have fallen into the post-John Terry/Serbia spotlight either. Thanks to players such as Jason Roberts and the Ferdinand’s, both the FA and the PFA are in the process of being given a massive and long overdue kick up the arse for their clear failure to take the matter of racism as seriously as they should have been in recent years. This is all good and very positive stuff. We as the nation which gave the game to the world have a duty to champion the ideal of unity in football not just on our own shores, but across the globe. After all, we can’t rely on anyone else to do it. One only need look at the derisory fines metered out by UEFA and FIFA to see that. Don’t get me started on Blatter. Yet amongst all this positive stuff has appeared a huge potential negative and that is the idea of a Black Players Union. Now, I’m sure there are very good reasons why this is a good idea although in truth I have no idea what they might be –personally I have this pegged as little more than some oily little chancers idea to make an awful lot of money and raise his profile to previously unimaginable levels. However, that’s another debate altogether- but there are two very powerful ones why it is an extremely bad one. The first is the obvious one and it’s the case that everyone is fixating on. For as I stated above, anti-racism is about unity. So if unification is the ultimate aim, why bring in something that by its very definition is divisive? The second reason is less obvious and it’s certainly not one that’s been mentioned anywhere that I’ve seen, heard or read. That is the kick in the teeth it would give to the fans. Because in the battle against racism at football, the foot soldiers are those who sit or stand on the terraces. We after all, are the ones who support, complain, highlight and when required, confront. Without us, there would be no Kick Racism out of Football. That is a fact. And the reason we get involved is because we’re all in it together. Fans, players, clubs, media, everyone. A black players union would smash that idea at a stroke because they would be going it alone and we would suddenly be fighting not with them, not even alongside them, but for them. That puts a very different slant on things. But just as importantly, it would infer that all of our efforts have not only been wasted, but are unappreciated. That might sound dramatic, but it’s certainly how I feel and I know from my inbox, Facebook and Twitter accounts that I’m not the only one. Yes, there are problems and it is to their credit that a umber of black players are standing up and speaking out. But their fight is not with us, it’s with the union and the authorities and it’s a fight that they must take to them under the same banner as the one we fight under. Because if they don’t, it could very easily backfire. Not only quickly, but badly. Kicking off is just 99p to download on both Amazon and iTunes. Which is, I have to say, something of a bargain! The media and police claim the battle against football hooligans and racists has been all but won. Those who study the culture of football know only too well that behind the squeaky clean corporate image being fed to the public lie some dark and unpalatable truths. 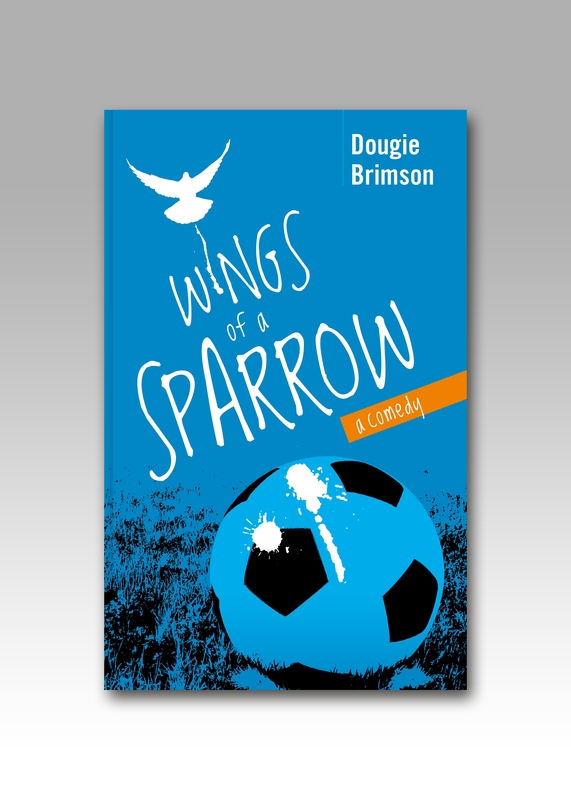 Compiled by best-selling author, screenwriter and world-renowned hooliganism expert Dougie Brimson, KICKING OFF picks up the debate where BARMY ARMY left it – Euro 2000 and the horrific murders of two Leeds United fans in Turkey. In his own uncompromising style Brimson exposes the truth and paints a disturbing picture of what lies ahead for the game if the culture of hate, racism and violence remains unchecked. Hillsborough. The ugly truth everyone is avoiding. Out of respect for the families, I had no intention of commenting on the issue of Hillsborough primarily because everything I’ve had to say has been said in print many times. However, having received a number of mails about it over the last 24 hours I’ve had a read back over some of the things I’ve written over the years some of which, it’s fair to say, have attracted a degree of criticism. Albeit primarily from people who have no concept of what it was like to be a travelling fan in the mid-80’s. So let me say one thing, I stand by every single word and my conclusion remains the same. Because however you look at it, the ultimate responsibility for Hillsborough lies not with the thin blue line, the government or even Kelvin McKenzie, it lies with those of us who followed the game back then. Specifically, everyone who ever threw a punch at a game, charged across a terrace, invaded a pitch, smashed up a high street or yes, who steamed a gate because they didn’t have a ticket. It was the fault of the fans who laid waste to Europe whilst following England or their club in the 80’s, who caused the tragedy at Heysel or who were involved in any one of the countless football related deaths which had happened in previous years. Because they, we, are the reason why football pitches were surrounded by horrific steel fences and the reason why, on April 15th 1989, the police had become so jaundiced against football fans that they couldn’t or wouldn’t recognise the difference between crushing and fighting. Yes, there were clearly huge flaws in the police operation and it is about time that those responsible were held to account and that the families gain the justice that they have so valiantly fought for. But those of us who either played our part in dragging the game down to that point or who simply sat back and watched while others did it are equally guilty. And we should all feel slightly ashamed of ourselves today. I know I do. On this most awful of anniversary’s, please take a few moments to remember the 96 souls who died at Hillsborough 23 years ago today. I’ve written much about that fateful day over the years, much of it admittedly controversial, but the bottom line is that people died simply because they wanted to watch a game of football. Even now those words seem shocking. Thankfully, we will never see the like of Hillsborough again in this country again and tragic though it was, as a lasting legacy that’s a pretty damn good one.